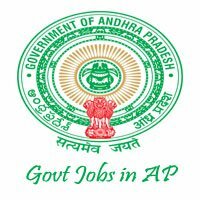 Andhra Pradesh Power Generation Corporation is going to announce Employment APGENCO Notification to recruit Assistant Engineers. It is the great opportunity to get a Job in State Government. APGENCO AE Recruitment Notification is releasing to fill up the 94 vacancies of Assistant Engineer Posts. The online application for the APGENCO Recruitment available dates. Check Furthermore, details regarding the APGENCO Jobs Notification refer below details. APGENCO AE Recruitment 2017 Apply 94 Assistant Engineer Jobs APGENCO Notification 2017 PDF : Andhra Pradesh Power Generation Corporation Limited invites online applications from all desirous candidates to fill up in 94 Trainee Assistant Engineers Recruitment for Engineering Graduates position across the state. Candidates those who are seeking for Latest Apgenco Careers may apply this great opportunity of APGENCO Notification 2017 PDF through online mode before 05th April 2017. Job seekers must qualify B.E/ B.Tech in Electrical, Electronics, Mechanical, and Civil field from a recognized University/ Board are the only eligible to apply APGENCO Recruitment 2017 Notification. Job hunters has to possess age limit in between 18 years and 44 years and age relaxation will be considered as given in Apgenco Notification 2016-17. Notification for Trainee Assistant Engineers Recruitment for Engineering Graduates in Electrical,Mechanical,Electronics & Civil. The selection committee of Andhra Pradesh Power Generation Corporation Ltd will recruit applicants on basis of the marks & performance in written examination for 94 Trainee Assistant Engineer posts. Aspirants those who have appointed in APGENCO Jobs will receive Rs. 23115- 955-25025- 1115- 30600-1280-35720/- per month as mentioned in norms/ rules. Applicants belonging to general categories has to pay Rs.250/- + Rs.120 /- non refundable application fee for APGENCO Recruitment 2016- 17 before 05th April 2017. For more details regarding APGENCO AE Recruitment 2017 like Syllabus & Exam Pattern and more kindly follow us. Applicants who willing to apply Aptransco Notification 2017, they should possess B.E/ B.Tech in Electrical, Electronics, Mechanical, and Civil field from a recognized University/ Board. Candidates has to attain minimum age limit 18 years and maximum age limit 44 years as on closing date of application and relaxation of reserved candidates will be applicable as per APGENCO Notification 2017 PDF norms/ rules. Job hunters who have selected for APGENCO AE Recruitment 2017 will have Rs. 23115- 955-25025- 1115- 30600-1280-35720/- as per official Advt. Applicants should pay non refundable amount fee who have applied for APGENCO Recruitment 2017 Notification through online /offline mode. Then look for APGENCO Online Application link. Enter valid details in application without any mistakes. Upload latest passphoto & signature scanned copies. Now cross check filled details & click on submit button. Download and save system generated application form. Job hunters those who had put in an application for Engineer vacancies offered by Apgenco AE Recruitment 2017 will start their preparation for written exam. Applicants who are preparing may go through APGENCO Syllabus and APGENCO AE Exam Pattern —which you will be available from official website. Candidates may download APGENCO Assistant Engineer Previous Papers through official website. 0 Response to "APGENCO AE Recruitment 2017 for 94 Posts Asst Engineer Apply"